Friendships take work to develop to higher levels of connection and intimacy, considering no one is perfect, and taking aside toxic people. 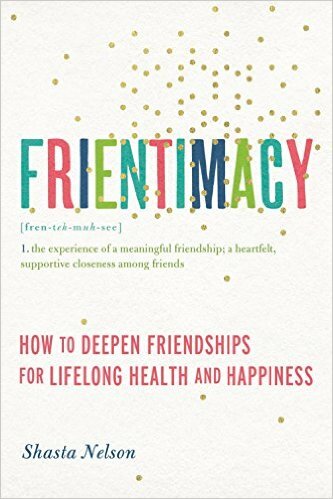 Moreover, Shasta Nelson considers how deep friendships contribute to meaningful lives, and the importance to make frientimacy a priority in a world where plenty of things, like money, compete for our attention. FRIENTIMACY focuses on female friendship intimacy. 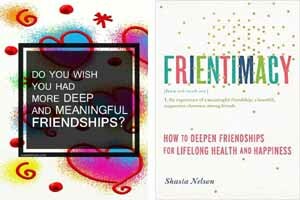 Furthermore, Shasta Nelson identifies five different types of friends – you can read about them on the workbook if you don’t have her previous book – because not everyone will become a best friend, and it’s nothing wrong with it. FRIENTIMACY zoom in three aspects: The intimacy gap, the frientimacy triangle, and obstacles to intimacy. The frientimacy triangle: It includes positivity, consistency, and vulnerability. Obstacles to intimacy: Doubting our self-worth, the fear of rejection, the toxic friend trend, jealousy and envy, and holding ourselves back. This book contains practices and reflections to consider. Besides, on frientimacy.com you can download the workbook and the book club’s guide. Overall, I enjoyed reflecting on frientimacy reading this book. However, I disagree with Shasta Nelson’s opinion that “life isn’t fair, so we can’t run around calling foul every time someone gets something we don’t have” written in the chapter about jealousy and envy, for that leads to believe in luck and not that people deserve what they have accomplished.